Observed in a rocky stream bed on the Kongelai Escarpment, West Pokot, Kenya. July, 2014. 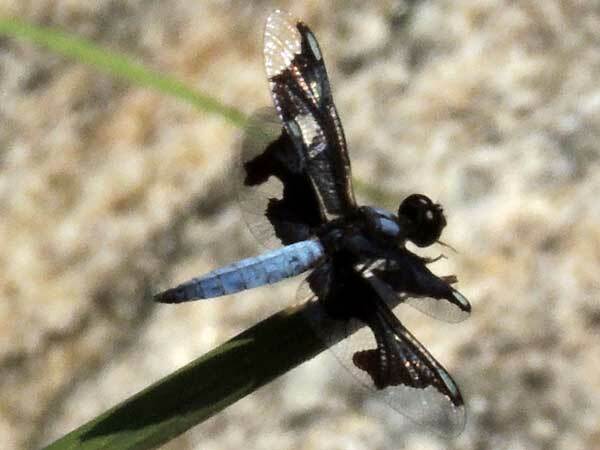 Dragonflies lead a double life. The first life is an aquatic insect hunting beneath the water and concealed by growth or fallen leaves. There they consume aquatic invertebrates or even small fish. Eventually they emerge from the water, shed their exoskeleton once more, and reveal their gossamer wings. Now they become masters of airborne predation taking especially small flies including mosquitoes. People should appreciate these marvels!